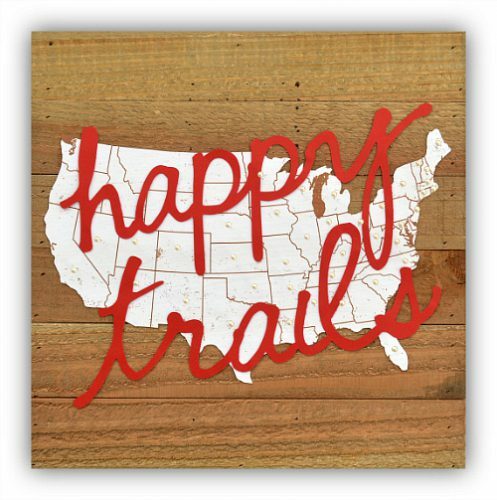 Welcome to Day 2 of our blog hop with Paper House Productions design team! We’re excited to be sharing more wonderful inspiration created with both companies’ products. Check out what each of the talented design teams have done. If you missed Day 1, click: 2017 Blog Hop with Paper House Productions – Day 1! Don’t forget there’s an opportunity to win giveaways…stay tuned for details at the end of the post. From the moment I laid eyes on the Let Freedom Ring Collection from Paper House Productions I knew exactly how I wanted to use this patterned paper. 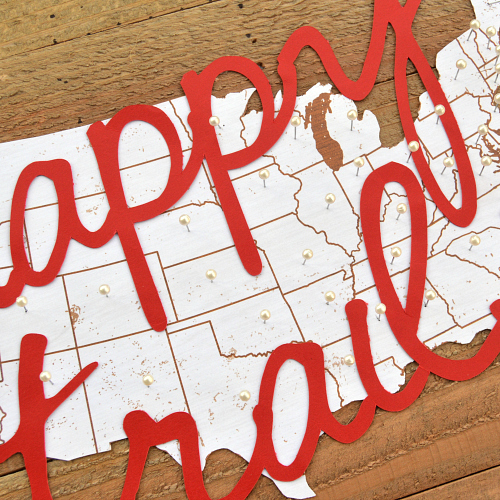 This travel themed week gave me the perfect excuse to create a map wall hanging. I used pins on the map to document all the states that my husband and I have traveled to together and it hangs in our bedroom as a reminder of our fun adventures. I combined the strength of three different adhesives for this: Adhesives Lines, Adhesive Dots Large, and Adhesive Sheets 4 X 6″ . These worked perfectly for attaching the paper map onto the wood plank piece. I also used the Adhesives Lines to attach my cut file – they were easy to use and follow the script font. To see my video tutorial, visit my blog by clicking: Scrapping with Christine. Hi! 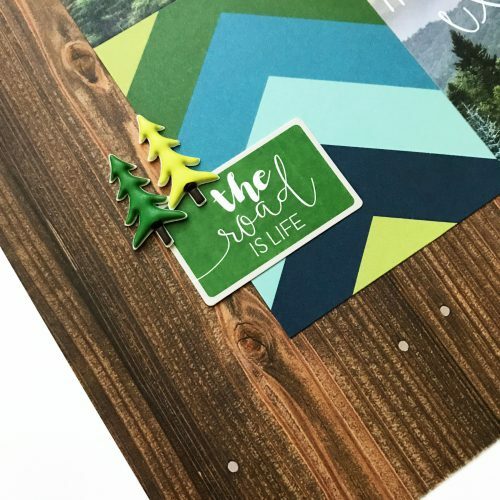 Today I’m sharing a layout using Paper House Productions Discover USA Paper Crafting Kit and Scrapbook Adhesives by 3L® MyStik® Permanent Strips Refill and Adhesive Dots Micro. 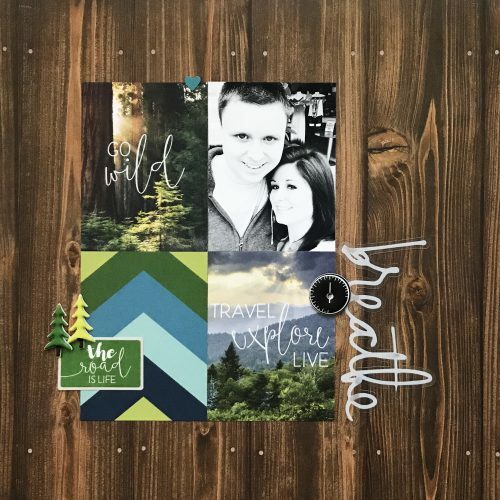 I cut out three 3 x 4″ cards, added a few puffy and cardstock stickers and a title to create this simple and cute layout. 2017 Blog Hop with Paper House Productions – Day 2! If you cannot see the comment section (at the bottom of this post), please click: 2017 Blog Hop with Paper House Productions – Day 2 and scroll down to the bottom of the post. This entry was posted in 3D Projects, Adhesive Dots & Lines, Adhesive Sheets, Adhesives, Announcement, Crafts & Tutorials, Gifts, Home Decor and tagged Adhesive Dots Large, Adhesive Dots Micro, Adhesive Lines, Adhesive Sheets 4x6", Blog Hop, Christine Meyer, Erica Houghton, Home Decor, MyStik Permanent Strips, MyStik Permanent Strips Value Pack 1 Dispenser 2 Refills, MyStik Permanent Strips Value Pack 3 Refills, Paper House Productions, Scrapbook Page, Vacation. Bookmark the permalink. 14 Responses to "2017 Blog Hop with Paper House Productions – Day 2"
Such amazing projects here again today. That map is just genius. I can´t wait to try these strips out and also pretty cool with some larger dots, to add a little bigger projects too. 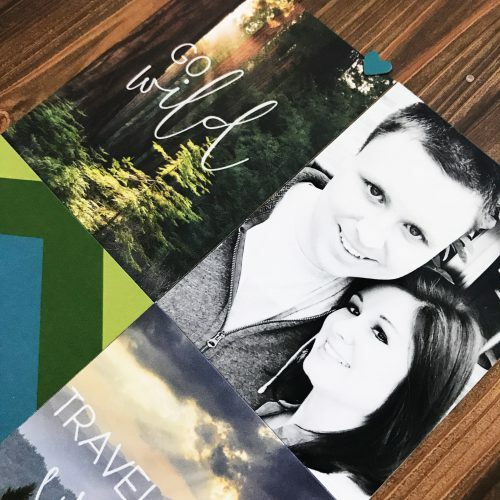 Wow, Christine, you & hubby have been to a lot of places – that’s fabulous! And a great idea. And Erica’s layout is really cute & earthy; love it. to the point and very pretty. Great projects. Love the idea of the map to show where you have traveled. Such wonderful projects and inspiration! 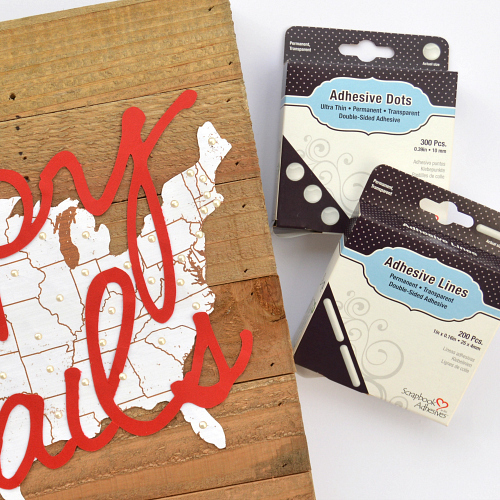 I love your adhesives! Thanks for the inspiration and for the opportunity to win! Love the ?? map! Such a cool idea! ? I love the Adhesive “lines” … I dudn’t know this was available. Perfect for attaching words to projects. Love the map wall hanging and the layout! Great projects! Ooh, I want this kit! Ok, I’m ready to play!! Love the wooden plaque and that fabulous layout!! So inspired!! Have had those adhesive lines and hadn’t thought about using them like that!